Donna Fischer, M.D. has extensive experience as an Aesthetic Medical Spa director where she treated many patients over a five year period. She trained other providers in the use of IPL, Fraxel Lasers, neurotoxins (Dysport and Botox) and facial fillers (Juvaderm, Restylane, Radiesse, Sculptra and Artefill). One of her primary areas of interest includes tumescent liposuction, with fat and stem cell augmentation, of breasts, face and hands. She achieves beautiful, yet natural, results using ones own fat and stem cells to turn back the clock. Dr. Fischer believes in maximizing the beauty of an individual, not only through facial and body sculpting, but also through the optimization of ones health and well-being. The new wellness program at Gateway Aesthetic Institute utilizes Bio-Identical Hormone Replacement Therapy with assessments in nutrition and exercise. This program helps to recreate ones youthfulness while establishing wellness habits and disease prevention. advanced training in these areas of interest. 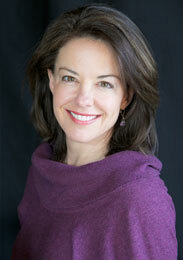 Dr. Fischer resides in Park City, Utah with her husband and 2 children. She enjoys all outdoor activities especially cycling in the summer and cross-country skiing in the winter. She has been an active volunteer in her community, as well as abroad. She welcomes the opportunity to help you meet your personal goals of beauty and wellness.